The recent economic crisis has shown that even a relatively stable investment such as gold is not excused to market changes. For several years now, investors and critics alike have debated over gold’s reliability and strength, especially during financial crises. Gold is said to protect an investor’s purchasing power. According to an infographic published by Mining.com, gold helps mitigate financial risks by reducing the portfolio’s volatility. But despite gold’s credibility, like other stocks and commodities, gold too isn’t immune to price changes. “Gold’s status as a hedge against inflation and a storer of wealth has taken something of a knock this year with inflation staying low in developed markets despite the constant money printing,” the website said. However, it adds that gold prices are still to benefit from monetary expansion. As prices continue to dip, pessimistic investors are looking to drop gold from their portfolio. Meanwhile, the optimists took the low price of gold as a chance to buy more, and eventually earn more when gold regains its luster. But are we going to find gold back in shape in a few months? According to a report by the Telegraph, the demand to buy gold is on the rise, especially when it comes to online gold trading. Bullion Vault , the world’s largest online market for buying physical bullion, said its index – which measures the balance of customers adding to their gold holdings over those who reduce them – rose to 54.3 last month from 53.0 in September,” the website claimed. 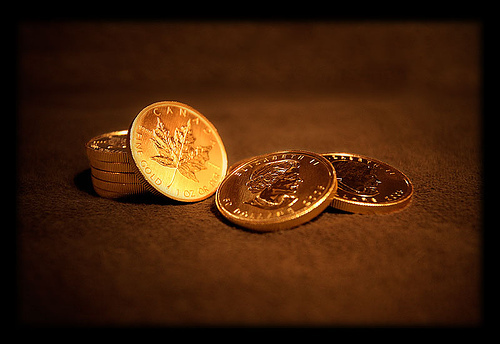 Historically, gold is seen as an alternative store of purchasing power. “When the world is being flooded with cheap money, Economics 101 tells you the prices of all tangible assets — including gold and silver — will eventually increase. And that’s why this could be a great buying opportunity,” MSN Money reported. But as to when the prices will get back, analysts can only speculate. Investors reported earlier this year that gold might see an increase by the last few months. Although this may not be the present case, investors can only cling to the fact that gold has been an investor’s friend for centuries now.